Weather is a fickle thing. It keeps on changing and often not according to our comfort. Thanks to the thermostats, we can still feel toasty warm in winters. And enjoy the summer breeze in scorching summer. But, things can get a lot better than that. Smart thermostats are here to make your life all the more fun. And it will be made possible by their wide range of beneficial features. 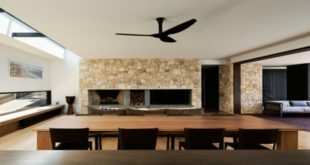 At present, the smart home automation market is developed enough to offer you the best in terms of home climate control. All this has been made possible with the help of highly innovative smart thermostats. You can buy one for your home today and transport yourself into the future and its comforts. 3 Which model is the best? The Ecobee range of smart thermostats has always been in the news for all the right reasons. You might want to take a look at the top three of these models. 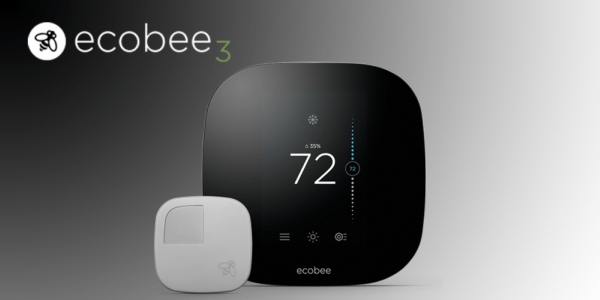 They are namely the Ecobee 3 Lite, Ecobee3 and the Ecobee4 if you are planning to upgrade your home thermostat. You can save yourself a lot of trouble in the future by making this smart decision. Today, you will find the kind of thermostats that can lower your energy bill while improving your overall quality of life. The main focus in these models is to make things as simple and convenient for you as possible. 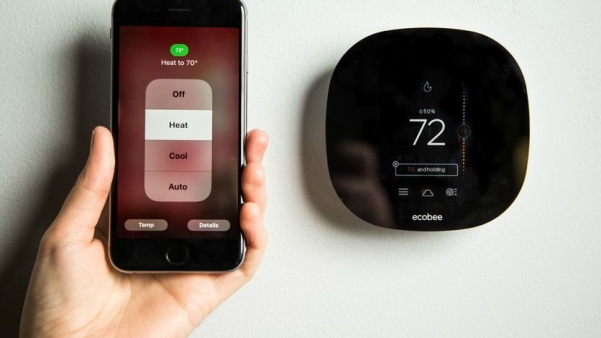 You might want to know these Ecobee thermostats a bit better since it will really help you make the transition from conventional to smart thermostats. Read on to know how these thermostats are a lot better than the one you are using at present. The Ecobee3 Lite Smart Thermostat is one of the finest models in this range. It belongs to the second generation of Ecobee thermostats. It works perfectly with the Amazon Alexa. This will help you in controlling your home thermostat from anywhere without investing many efforts. According to recent surveys, it has been discovered that this thermostat can save you as much as 23% on your annual cooling and heating expenses. This is a noteworthy number and you will be able to earn back the money invested on this appliance in no time. The best part about this gadget is that you can control its setting from anywhere. You can be at work, outside, on the beach or even on the other end of the world. As long as you have the access to your Apple or Android smartphones or even the Apple Watch, you can easily control it. The temperature and other settings of his thermostat can be adjusted conveniently from anywhere, anytime. You can also get the remote sensors now to maximize your comfort. It is an efficient way of managing the cold and hot spots present throughout the house at those tricky place. The sensors will help you in even distribution of the temperature throughout so that you don’t face discomfort while lounging at your favorite place. 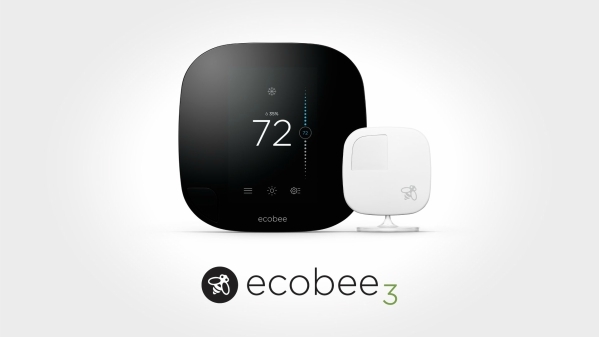 The next thermostat from the very same reliable brand is the Ecobee3. It has that basic quality assurance of every other Ecobee thermostat. And in addition to that, you also get the unique set of highly advanced features that make it a cut above the rest. It shows flawless connectivity with your home Wi-Fi network. It is also a second-generation thermostat and that means you will get the improved version of this model. The simple integration option with the Amazon Alexa further makes it all the more useful in your household where you have a number of other things to attend to also. One of the best features of this device is that it knows quite well when and how to adjust your home temperature. It employs a series of sensors and the data generated from the outside whether study, room temperature, and other factors. All these components together help in assessing the right level at which the temperature should be maintained within the home. This way, you will also be able to save a ton in terms of the overall energy expenditure. There is no chance of the energy wastage with such a smart thermostat. And that is a good news for you and your wallet both. It senses it on its own when the rooms are occupied and when they are empty. This helps the thermostat in deciding at which level the HVAC of the entire home should be working. If you are at home then it will be working in an optimal manner to give you that elusive comfort. And when you are away, it can either be turned off or kept active at the lowest level. This will enable the maintenance basic air circulation and temperature levels. The next in the series is the Ecobee4 Smart Thermostat. It has the Amazon Alexa voice support to help you get certain temperature controls adjusted without even lifting a finger. This second generation smart thermostat lets you enjoy all the latest features that you find in any other smart thermostat of the present times along with many bonus features. You get the benefit of the built-in Alexa Voice Service. This makes sure that you can get a number of other additional tasks done too using it. Wake up and ask it to read the newspaper. Or, ask it to set the alarm for the morning and wake you up right on time. The Far-field voice technology further makes sure that thermostat is able to hear you loud and clear from across the room. It works with a range of smart home hubs. The main brands that it pairs up in a hassle-free manner include the Apple HomeKit, Google Assistant, and the Samsung SmartThings among others. This will help you to get it connected with the entire smart home network quite easily. You will be able to make the most of this device in this manner without having to buy any additional widget. The installation process is quite easy for this thermostat since it is based on the DIY model. You will just need to put together a few parts and it will be running in no time. You get the detailed user manual with it too just in case you are not able to figure put properly by yourself. There is also a guide on your phone which is quite interactive and helpful. 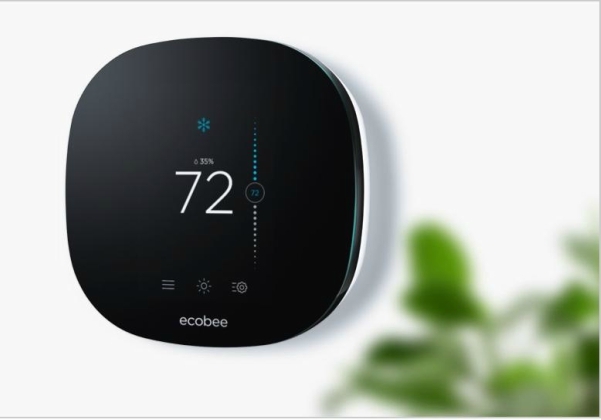 In comparison to all the other smart thermostats in the market, you will find the Ecobee3 Lite to be quite affordable. It is priced at just $168.99 which is quite reasonable considering all of its remarkable features. You can also optimize it features by subscribing to a range of service that is offered along with this thermostat. It is always better to go with the extended warranty and security cover. This just costs a bit extra and you get the assurance of a durable thermostat. It also gives you the guarantee of unparalleled service year after year. If you are planning to make this purchase from Amazon then you get a number of incredible discounts to brings the price down for you.Or, you can just set an alert and all the new deals, as well as offers, will be notified to you before the rest of the world. This product is shipped to all over the world. The standard price for this thermostat at present on Amazon is $243.00. At present, this is the best rate at which you will be getting this thermostat with the assurance of genuineness. You also get the option of choosing among the 4-Year Protection at just $22.71. And the 2-Year Protection can be availed at $10.88. Go for these amazon sponsored protection plans and enjoy your smart thermostats without a care in the world. You can also opt for certain discounted packages where you get a number of sensors and other accessories in a stellar deal. On Amazon, you can also opt for the used model if they are available and save you a decent amount. You can use this money to buy additional accessories or to buy a brand new smart home device that can make your home even savvier. There are a lot of offers and ongoing discounts with this thermostat that will surely take care of your budget woes if there are any. The Ecobee4 is currently having a price tag of $248.80. You can get a good deal on this price by opting for the seller of your choice from the Amazon portal. And getting that hefty discount in the process. If you order now then you will get a very special package. It will contain the Ecobee Room Sensor 2 Pack with Stands that costs $68.48. And the Echo Dot (2nd Generation) – Black which at present rounds up to $29.99. But on Amazon, you will be getting all three of these gadgets at just $317.28.You can keep an eye out for such amazing deals if you are regular Amazon shopper. If you are buying a smart thermostat then you have to know its home automation capability. This will keep the options open if you wish to network and expand your smart home network in the future. The Ecobee2 Lite doesn’t disappoint you here. It has been designed to be highly compatible with all your favorite smart hubs which you might already have or are planning to buy very soon. The IFTTT protocol works in perfectly with Ecobee3 Lite thermostat. This means that all the Z-wave devices that follow the IFTTT protocol can be easily connected to this thermostat. 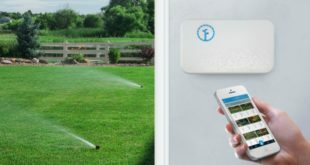 You can connect it with a number of popular home – wide controllers such as the Amazon Echo, Apple’s HomeKit, SmartThings, and Wink among others. You will get hundreds of terminal to connect other devices along with it to fit all of your smart appliances. The Ecobee3 happens to be the first thermostat that was Apple Homekit enabled. Now, you do get this feature with a range of other thermostats. But it just goes to show that this line of thermostat always remains one step ahead when it comes to the latest in smart home automation. Control temperature all over your home by integrating it with either the Amazon Echo or the Amazon Alexa. This way you will face no trouble giving your valuable suggestions to the thermostat in the form of a voice command that will save you so much time and effort. The Apple Homekit integration makes sure that your home is fully coordinated with its functioning thus giving you a lot more options when it comes to managing your home in a smarter way. The functionality of every device in the network is amplified and they are able to serve you better. The smart home automation possibilities with this thermostat are also unlimited. You can connect and network a range of latest smart home appliances along with this device. Or just integrate it with the smart hum and from there on, the hub will take care of the rest. The thermostat is compatible with the smart hubs such as the Samsung Smart Things, Wink, Apple Homekit and many more similar appliances. You and your savvy friends own the smart hubs from these select few brand since they are famous for their quality and performance. Hence, the Ecobee4 give you the ultimate connectivity with almost all the smart hubs you have or prefer. Connect it to the smart hub and see it sync up with your smart home network in no time. Soon, you will also appreciate its seamless and exceptional functioning after experiencing its benefits. Today, the remote access is no more a facility but a necessity. Most of the times, you are looking for a thermostat because you are tired of attending to your conventional thermostat by tinkering with it for hours and still getting nowhere. The Ecobee3 Lite gives you best option when it comes to remote access. You will be able to control it easily with your phone or even by going online and making the changes via your account. It is compatible with a number of platforms thus giving you all the more options with this feature. You might own an Apple or Android smartphone. And you will find the smart app which works efficiently with both the platforms. You just need to download, install and sync it up to the device.And you will be able to monitor and control its functioning in the best possible manner. Remote Access option with the Ecobee3 also opens up a whole world of options for you. You get to enjoy that easy control and monitoring option from anywhere around the world. No need to worry anymore about the faulty temperature setting when you are away. You can just open the app on your phone and make the required changes without wasting too much time on it. So if you feel like you should turn off the HVAC system of your home and prevent the energy wastage then just do that. Or set it to a minimum level to give the illusion that you are at home to keep the intruders away from your porch.The simple and easy way to connect with different browsers and view the status of your smart thermostat makes it all the more useful. You will find the Ecobee4 to be compatible with all the major web browsers. Safari, Google Chrome, Firefox and Internet Explorer are few of the popular browsers that are present in almost all kinds of desktops and smartphones. You can just use your phone like you always do and integrate this thermostat to your phone for easy remote access. Open your favorite web browser and log into your Ecobee4 personal account. From there you can make all sorts of changes without much trouble. The smart app is available for both Android and Apple platforms with this thermostat too. Just go to the relevant online app store. Download the free app and you will be in full control of your thermostat in no time. This is the best way to manage you smart thermostat in a totally hassle-free manner without investing too much time or effort on the same. 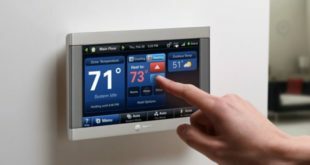 The thermostat screen has a lot of features that will help you in operating this thermostat far more easily. It bears a resolution of 320 x 480 pixels. This is good enough to offer you a clear idea of what is the progress and readily read all the important notifications. You total diameter of the screen is 3.5 inches. The rich in color and highly contrasted display make sure that you find it useful for your purpose. The screen of Ecobee3 bears the proximity sensor. 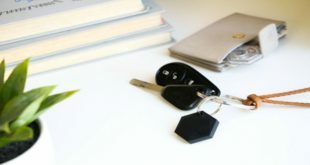 These sensors make sure that they light up sufficiently when you are nearby. And when you are not, they turn the lights out to save the energy. This is a good use of the sensor technology and makes a big difference when we consider it from the point of view of the users. The Ecobee4 screen has all the above-mentioned features and plenty more of them. For starters, you get the microphone and speakers inbuilt into the screen. This feature is not available in any other smart thermostat model at present. 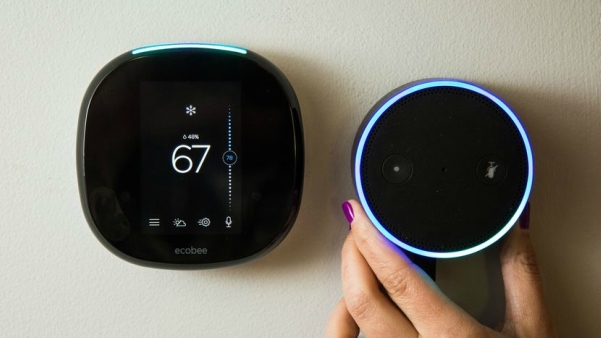 The Ecobee4 is more like the Amazon Echo with the thermostat functionality. You can use it to control other devices too without adversely affecting its own performance. Most of the HVAC systems available in the market are compatible with this thermostat. Ecobee3 Lite works perfectly with the dual fuel system and just the oil or the individual fuels of oil, gas, and electricity. This makes it all the more easy for you to incorporate it into a variety of homes. However, there are some exceptions also when we are talking about the fuels. You will not be able to make it work with the millivolt or electric baseboard systems. These are the only two fuel resources that are not compatible with the Ecobee3 Lite. Since you have a lot of options in this department so you won’t be facing much trouble anyway. With the Ecobee3 thermostat, you will not be able to include many heating accessories. The elements which we are mentioning here include the humidifier, dehumidifier, Ventilator, HRV (Heating Recovery Ventilator) and ERV (Energy Recovery Ventilator). Most of the homes are not using these components in the first place. So if your home is, you can just make your selection from among the Ecobee3 Lite and the Ecobee4 models. The conventional HVAC systems employ 2 stages for each heating and cooling with this thermostat. The heat pumps use the 4 stage heating and 2 stage cooling mechanism. The good news is that it works equally well in both the situations. You can also add a number of additional accessories to your system with this thermostat. Improve the air quality all over your home with the humidifiers, dehumidifiers and the ventilators. Conserve both heat and energy with the HRV (Heating Recovery Ventilator) and ERV (Energy Recovery Ventilator) in every corner of your home. The only question that remains now is that which of these smart thermostats will be the best choice for your home. The answer to that is the Ecobee4 Smart Thermostat. This is because it is only with this thermostat that you get a range of in-built smart features that make is almost as good as a complete smart hub. So this season, the best smart thermostat model for your home is undoubtedly the Ecobee4. This marks the end of another insightful article from our end. Let us know how useful you think these smart thermostats can be for your home? Are you planning to buy one anytime soon? How willing are you to buy one of the above mentioned smart thermostats? Let us know all this and a lot more in the comment section below. Previous Arlo Q vs Arlo Q Plus: Which is the More Secure Choice for Your Home?